emissions from transport and processing, and decay or combustion (within 40-50 years) of forest products, often in landfills. After logging, plantations continue to be net emitters of carbon for about 15 years. Young forests do not make up for this loss of carbon storage for at least 200 years, even if uncut, and even when squestration of carbon in wooden buildings is taken into account. From a climate change point of view, the best thing we can do is to preserve old-growth forests intact, and to allow previously logged areas to regrow into mature forests. Forests contribute to the atmosphere in two ways: they actively remove carbon through photosynthesis as they simultaneously release oxygen, and they store enormous amounts of carbon in their biomass. 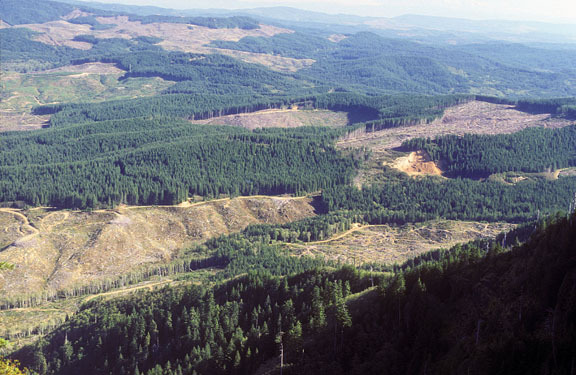 After the enactment of the Northwest Forest Plan, and with the subsequent reduction of logging on federal lands, northwestern forests changed from a source of atmospheric carbon pollution to a carbon sink that removes carbon from the atmosphere and safely stores it in old forests. 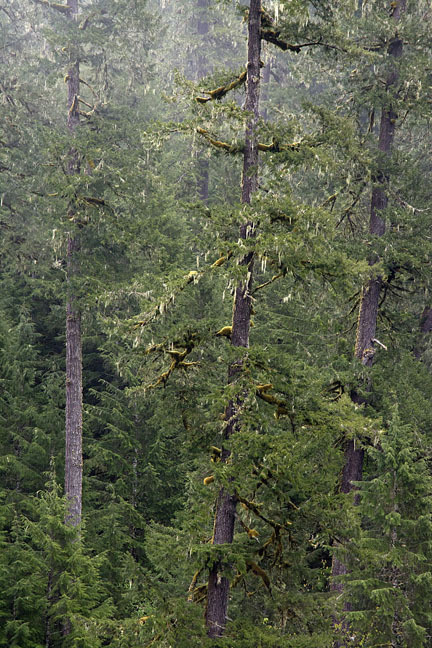 A recent memo to the Bureau of Land Management suggests that the climate-related costs of logging western Oregon forests are 25-95 times higher than the federal government receives for the timber. "A synthesis of current knowledge on forests and carbon storage in the United States"
The five tipping points involve "reorganization of theAtlantic meridional overturning circulation (AMOC), disintegration of the Greenland ice sheet (GIS), collapse of the West Antarctic ice sheet (WAIS), dieback of the Amazon rainforest (AMAZ), and shift to a more persistent El Niño regime (ENSO)."